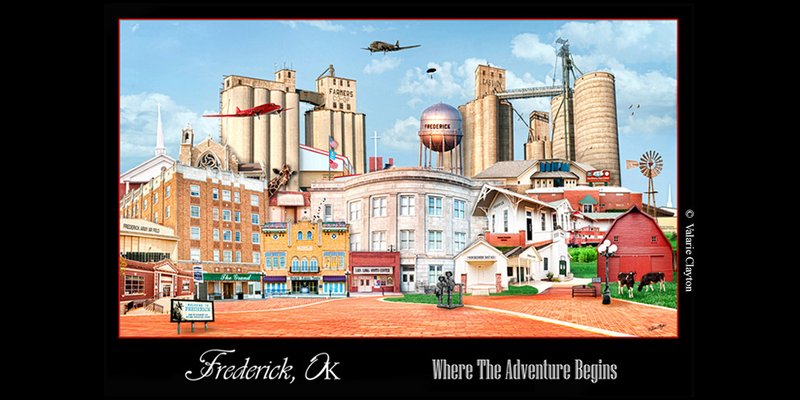 During World War II Frederick was home to Frederick Army Air Field. The World War II Airborne Demonstration Team Foundation has established its world headquarters at the Frederick airport in a hangar that has been preserved from that time. The Foundation has many members who live throughout the United States and Europe who visit Frederick often for parachute jumps and training. The team members seek to honor World War II airborne veterans and to preserve World War II artifacts and knowledge for future generations. The group’s hangar will eventually house a WWII living history museum. Twice a year the hangar hosts “Jump School and Open Hangar Day.” Jump School is a week-long class of jumping, learning and performing. Students from as far as Pennsylvania and the Netherlands come to Frederick to learn how to jump out of a C-47, World War II style. The students stay in the barracks of the hangar, just as soldiers did in early 1940s. During Jump School it is not uncommon for Frederick citizens to encounter “World War II Soldiers” on the streets of downtown. That is because ADT students, instructors and commanders all wear traditional WWII garb. This, perhaps is what makes Open Hangar Day such a neat experience. Open Hangar Day is a final testing for the students. In order to fulfill their jump quota, students perform a public jump (or a few) early on a Saturday morning deemed, “Open Hangar Day.” OHD is a free and open event to anyone who likes adventure, airplanes or history. These events typically have a wing-pinning ceremony for the students who fulfill the jump requirements, as well as a commemorative ceremony for a WWII hero and occasionally open fly-ins. Visitors enjoy getting up-close and personal with the WWII replica plane, “Boogie Baby.” Between parachute packing and lunch in the Mess Hall, this event is a great demonstration of hands-on living history. For a tour of the Hangar or more information on Open Hangar Day and Jump School, contact Sharon Bennett at the number above or stop by the chamber office at 100 S. Main.